The last few weeks we have seen bears out during the day eating apples at the orchards every day. There are bears in meadows, bears in berry bushes, and bears in the river. Most of these bears are doing natural things, but unfortunately many of these bears are eating apples or berries in the middle of parking lots or campgrounds. 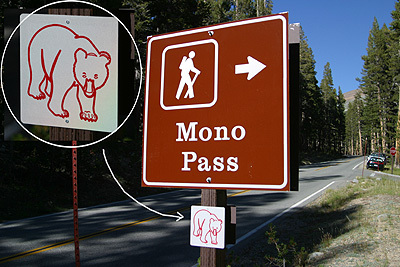 Also during the day, bears have been in picnic areas, attempting to scare visitors off their food. 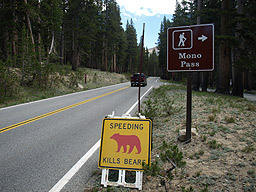 If a bear approaches you while picnicking, yell at it and make as much noise as possible to scare it away. There are also bears active in Curry Village. They are obtaining trash from overflowing trash cans on a pretty regular basis. A bear also tore through an unoccupied tent cabin to obtain apples a visitor left inside. Remember to use your new bear locker and put all food and scented items inside 24 hours a day. We are also getting reports from numerous backcountry locations, including Young Lakes, Glen Aulin, Little Yosemite Valley and Sunrise Creek on the JMT. 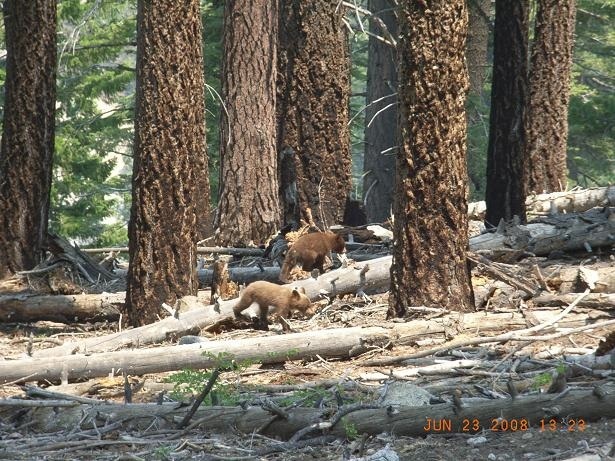 Bears have been active at Tenaya Lake picnic area, again trying to scare visitors off their food. 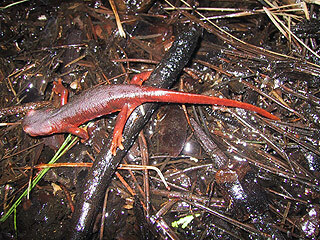 They have also been very active at Yosemite Creek and White Wolf Campgrounds. A common question these days with bears in the orchard is, “Will the bear fall out of the tree?” The quick answer is no. Bears are excellent tree climbers. 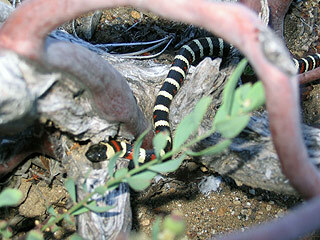 They are very agile and can easily spend a whole day in an apple tree, alternating between eating and sleeping. Bears also climb trees to get away from something they perceive as dangerous. 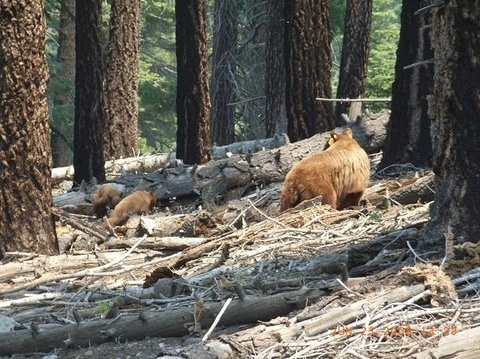 *Bears continue to be active in all Valley campgrounds. There is a bear that checks the cars at Camp 4 on a nightly basis. She also seeks food in the campground. 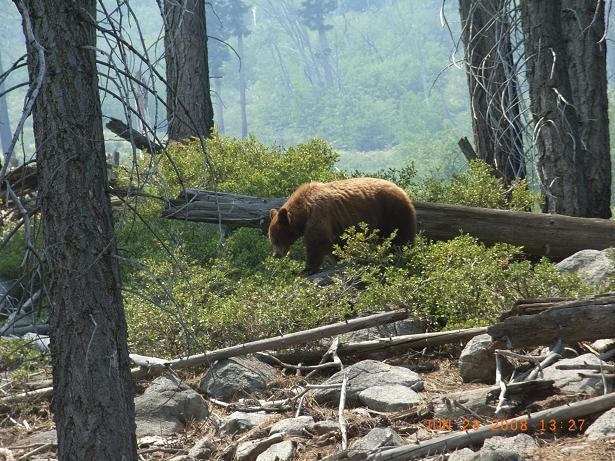 *A large bear has been obtaining food from lockers that are improperly locked in the Pines campgrounds. 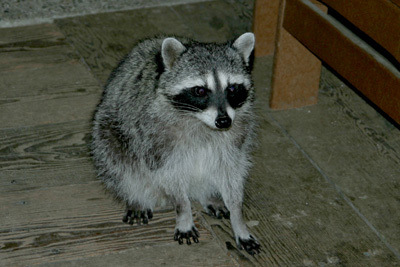 *A small bear was observed eating garbage in the Curry Village area. *There were 5 car break-ins in the East Valley developed areas. *Bears have been observed foraging naturally in the meadows near Crane Flat. *A bear has been observed in the White Wolf campground, attempting to obtain food. 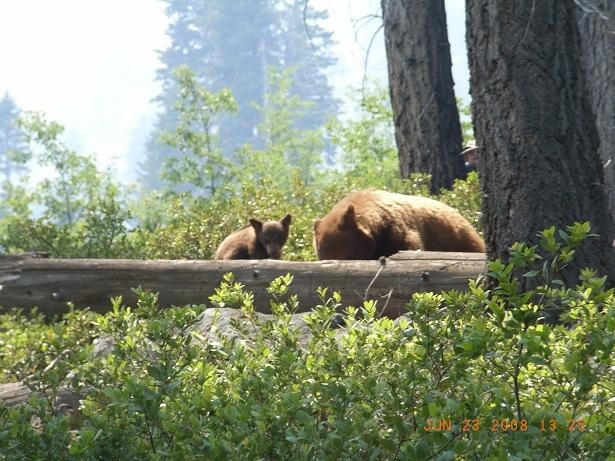 *A bear has been observed on the Mist Trail. Keep your food within arms reach at all times! *In the backcountry, most observations have been from Cloud’s rest to LYV.